You only need to keep some statements and bills for a year. —and get rid of some clutter. While filing your 2016 taxes and digging through years of receipts and old files, you may wonder if you really need to keep all your documents going back to the time when the Beatles sang “I Wanna Hold Your Hand.” So what can you get rid of? Experts say you need to keep some records forever, but you can dispose of others after a few years. The IRS advises you to save your tax returns for a minimum of three years. Generally, the tax agency can audit you three years from the filing or due date of the return, and you have three years to claim a refund. However, if you failed to report more than 25 percent of your gross income, the IRS has six years to assess an additional tax, and if you don't file a tax return at all, there is no statute of limitations. However, many financial experts say you should save your returns forever. MarketWatch tells the story of one man preparing to retire who discovered that his Social Security record showed he was short by two years for retirement benefits. Unfortunately, he had shredded all the tax returns that would have shown he had worked enough quarters to qualify for benefits immediately. He couldn’t get help from IRS records either, because the tax agency didn’t have electronic transcripts going that far back. So he ended up working two more years to qualify. Another reason to keep your tax returns is that they can be helpful when settling estates, applying for a mortgage or disability insurance, or tracking down the value of certain assets. In fact, some creditors and insurance companies require you to keep records longer than the IRS does. Also save supporting documents for at least three years, although some experts say to keep those forever, too. 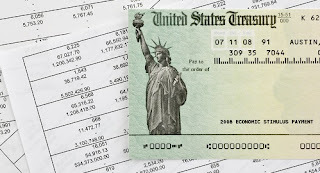 Documents can include copies of your W-2 forms; 1099 forms reporting interest, dividends, capital-gains distributions and other income; canceled checks and receipts for charitable donations; and records showing eligible expenses for other deductions and credits (and eligible expenses for health saving accounts and 529 withdrawals). Keep records showing how much you deposited and withdrew from your IRA and 401(k) accounts. Don’t shred your IRA Forms 8606 until you withdraw all of the money from your individual retirement account(s). You may need them to prove you’ve already paid taxes on the contributions and won’t be taxed on them again. Experts say to keep tax forms for retirement accounts such as IRAs until seven years after the account is depleted. Hang on to your quarterly investment statements until you receive your annual statement so you can check to make sure they match. Experts say to keep annual statements for three years after you sell the investments. When it comes time to sell your stocks or mutual funds in taxable accounts, you’ll need the original records showing the purchase date and price so you can establish the cost basis and determine whether it’s a loss or gain. Although brokerages are required to report the cost basis of stocks purchased in 2011 or later and mutual funds and exchange-traded funds purchased in 2012 or later, it’s helpful to keep your own records, especially if you switch brokers. As long as you live in your home, keep the records showing the purchase price of the home as well as how much you spent on improvements. For one thing, if you make a nice profit on the sale of the home (more than $250,000 for those who are single and more than $500,000 for couples), you can reduce your tax bill by subtracting the cost of major home improvements (not repairs). Also, potential buyers may want validation for any home improvements you did. After you sell the house, keep the sale documents for three years as documentation for capital-gains tax. Make sure you keep receipts and warranties for major household items, such as furniture, appliances and electronics, so you can return the items if needed. You can get rid of a warranty when the coverage period has passed, and the receipt when you no longer own an item. If you have property at home, such as office equipment used for a small business that you may want to amortize, depreciate or sell, you may want to keep the sale records until the statute of limitations expires for the year in which you dispose of the property. For documents you need to save, experts stress that it’s important to have a good system, not least because you’ll be able to find them easily if you need them. In an electronic age, you now have two choices for where to store crucial documents: in a traditional file cabinet or safe deposit box, or on your computer or the cloud. Always store important papers, like birth certificates, in a safe deposit box or other fireproof container. A paper filing system with labeled folders needs to be well organized, as does a system online. If physical space is tight, you can scan your documents and save them digitally on your computer. However, you need to back up electronic files, either on a hard or storage drive, or on a Web storage site, such as Dropbox. Make sure the online storage site has a good reputation, encrypts the information and offers automatic backup and good technical support. Increasingly many financial institutions, including banks and brokerages, provide online access to customers’ account statements for a few years, so you can always check your records online (or download them onto your computer) without keeping paper statements. When it comes time to get rid of monthly bills or receipts, to lessen the risk of identity theft, make sure you shred the documents rather than dump them in the trash. Insurance records. Keep policies that you renew each year, such as those for your home, apartment or car, until you get new policies. Then get rid of the old ones, although some experts advise holding on to the old polices for three years. Purchases. You can hang on to your sales receipts until you receive the credit-card or bank statement (if not paying with cash) or until the warranty or return period expires. However, if you need the sales receipt for tax purposes, you should keep it for three years. Paycheck stubs. Keep for one year, until you can compare stubs to your W-2 and annual Social Security statement at the end of the year. Utility bills. Keep for one year, unless you have a home office and you’re filing these expenses as a deduction, in which case you need to keep the bills for three years after you've filed your tax return. Bank accounts. Keep canceled checks and bank statements for one year, until you finish your taxes, unless you need them to prove deductions, in which case you should keep for three years. After you reconcile your deposit and ATM receipts with your monthly checking and saving account statements, you can discard them. Credit card receipts. Keep for one year, unless you need the receipt to support a tax deduction, such as for a charitable contribution, in which case you need to keep for three years. Vehicle records. Hold on to purchase receipts, titles and registration information as long as you own the car, boat, truck or other vehicle. Crucial documents. Records that you should store forever and in a safe place include marriage licenses, birth and death certificates, wills, records of paid mortgages, Social Security cards and military discharge papers. Credit card receipts. Don’t dispose of loan information until after the mortgage, vehicle, student or other loan is paid off. There’s No Reason to Save All Your Financial Records is a featured article in the March 2016 Senior Spirit newsletter.